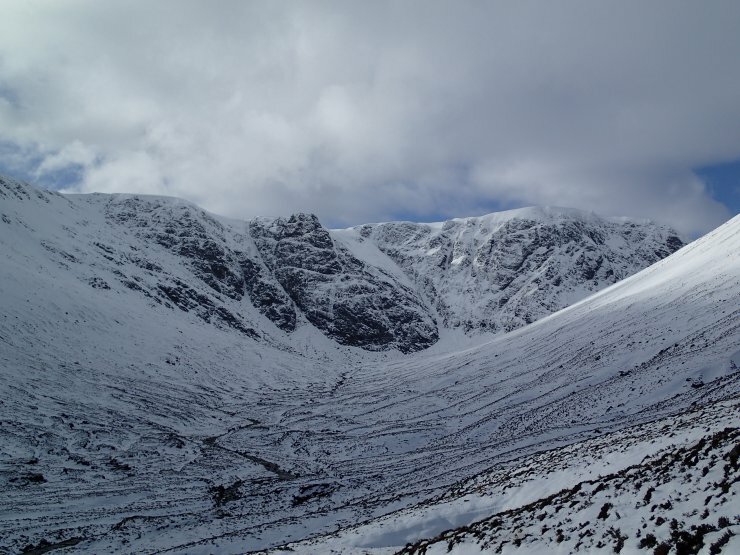 SAIS Creag Meagaidh Blog » Another mild ‘blip’? Today it was wet and windy as I walked to and from Coire Ardair. During the morning the freezing level rose above the summits and snow turned to rain at all levels and I noted debris from 4 avalanches that probably released during this transitional period. 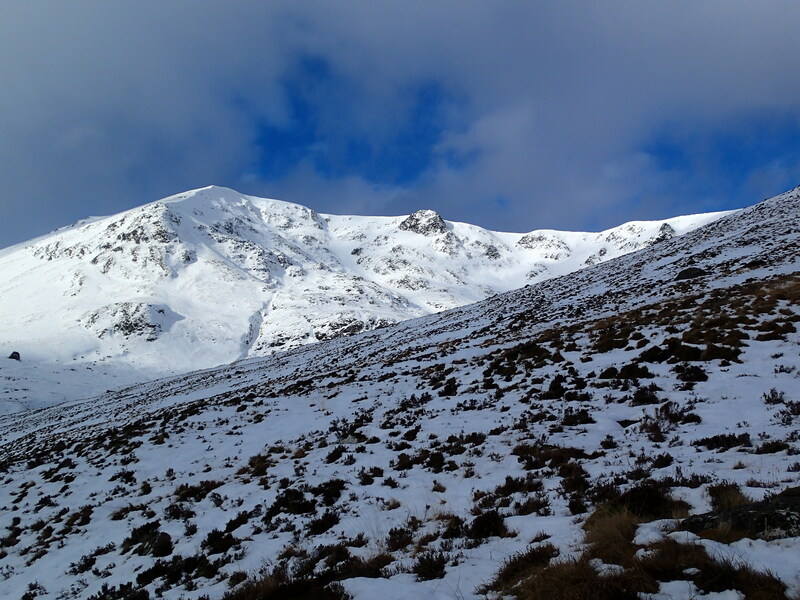 There was a number of violent gusts of wind in Coire Ardair. 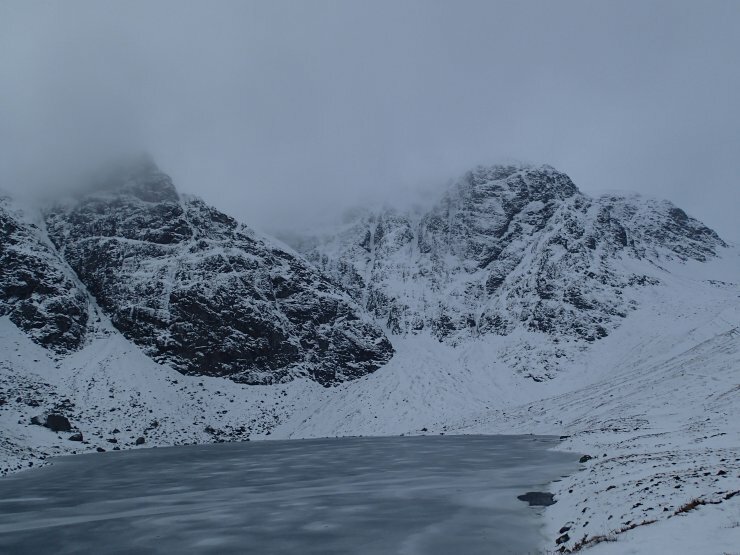 As I was leaving the coire rain started to turn back to wet snow. Most of the time the cloud base was around 700m, but there was a brief period as I walked in when the base lifted and some blue sky appeared. Sadly this didn’t last long at all! Coire Ardair, just before the cloud dropped to around 700m.